no problem. better get it finished before LMS3 starts!!! omg! 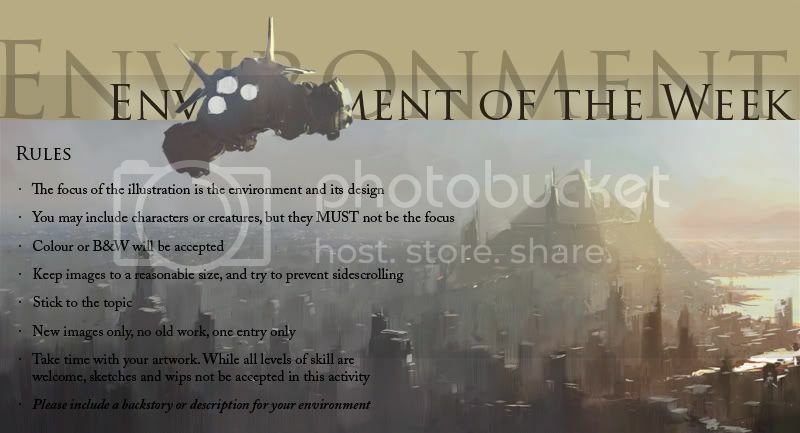 for fun i was trying to guess what the next EOW was gonna be over last couple of days...and i thought how cool it would be if this was suggested! Hmm, there was a swedish songe once: "paint the whole world pink". This coooouuuld be interesting to see what we can come up with. I really have no idea right now. 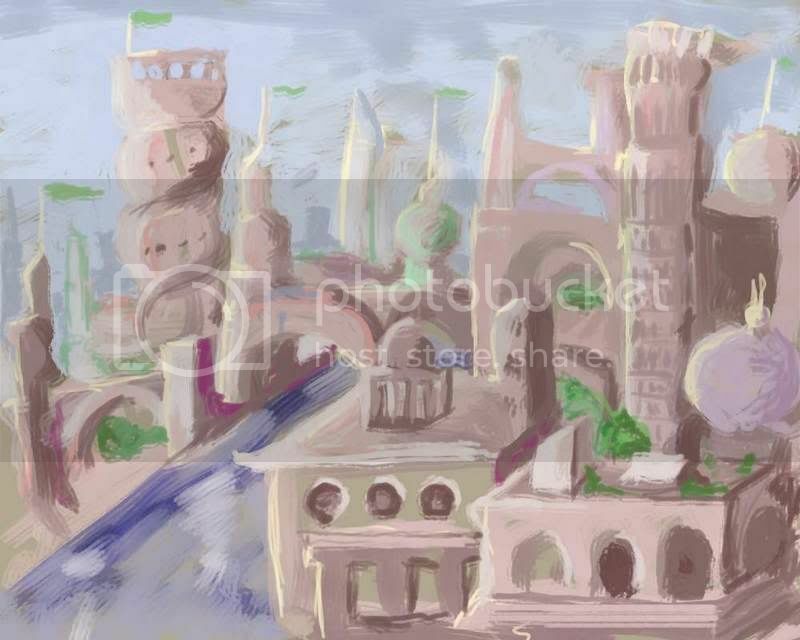 Concept Art City, paint in the different forums as parts of the city with their usual crowds. Well that's a very great idea. I hope that wasn't sarcasim.. because I actually did think it was lol. I don't know all the forums well enough, but I figure the Employment boards are probably the bad neighborhood in the city, seems like everyone is just looking for handouts there. Education and Learning.. obviously the universities and academies. Activities are maybe parks and stuff. Looks like I'll be forced to draw a lot of buildings, which I'm really bad at and desperately need practice upon. Perfect. It wasn't, our perspective, perception and conception of what we picture CA like could be quite subversive on other people's opinion of CA. Fancy words expresses my visual imaginary picture of this. Okay, that was rather confusing, hope you get it. I like how the deadline for EOW is not at the beginning or end of a week. Thursday really is a good day for me to start a new project. Every time you turn down a different alley, it's like a different world. Last edited by Nightblue; November 22nd, 2007 at 10:21 PM. If the world were only inhabited by artists, what would this artistic utopia be? Land, air, and the natural resources that we depend on would be devoted solely to artistic creation and everything that comes with it. The art of it all. The metropolis. having gone to an art school i am reminded of artwork everywhere. not just hanging on all of the walls, but leaning against the walls, rolled up charcoal drawings on the floor , sculptures in the corner, sketchbooks lying around. but everyone was very respectful , so despite the sort of haphazard placement artwork, nothing was ever really damaged. there would be PILES of drawings waiting to be graded in classrooms, and the drawing horses ( those sort of little benches with a bit to lean a drawing board against) were splattered with gobs of old dry paint . the smell of art supplies was everywhere, like opening your artbox and taking a deep breath. there were also couches in the halls and people would sort of sit/ lie in them but also across/atop/against each other as well. there were a great many talented people , but also a number of pretentious hacks slathering paint and pretending that they were great. a balance of arrogance and openmindedness. lots of really sort of ARTSY people, but all of the REALLY talented artists were really down to earth , normal, interesting people ( in some cases sort of eccentric or zoned out). there would always be SOMEONE drawing or painting or getting ready to paint, or stretching and gessoing canvas. certain areas smelled like paint, others like clay or photo developing solution . it was a kind of organized mess. it was sort of like an artists city, but there were only a few hundred of us. i guess you could just take this and make it bigger. i hope i sort of helped get across the feeling for those who have never been to an artschool. grenogs, I'm inclined to agree...dare we forget writers, actors, dancers, etc? In the city of artists, inspiration is key. I'm thinking more along the line of diversity. People obviously all have different opinion on what exactly is art, and the city of artist would do well to provide each distinctive, art-crazed crowd with their own little quirky districts. Considering how strongly some people feel about their definition of art, there might even be district wars where half-finished sculptures and palette knives get thrown back and forth. Now that would be entertaining. to me a city of artists would have a high birth rate , low death rate, until it ran out of cigaretts and the power shut off due to dam slackers, then there'd be trouble all around. The floodgates of the graffiti dam would give way. If you build it they will come! Unless I finish what I haven't even started yet tonight, I'm sittin' this one out. Something about this whole "Thanksgiving" thing has kinda drained my free time. I wonder if they have holidays in the artists city. Or if they even need 'em. unfortunately im in the same boat...but not about thanksgiving (im from the uk) Iv only got tomorrow night free to give this a shot. I have the idea in my head, so will give it my best shot Chaos! i guess it will push me to finally test myself at speed painting...something i still havnt grasped yet. Is thanksgiving the reason theres only 1 wip this week? dont the Americans get a holiday for that?...which means more art time no!? Ditto for me too, I have done quite a few in a row so far, I need a little break also I have one or two other Paintings I want to finish. I will be watching and voting though, cant resist, EOW and all you guys ROCK! I like the perspective and the value in this image. Can't wait to see it finished. No, seriously, the entries are on their way. Don't worry. I have informants. Chin up. “˙ǝƃuɐɥɔ ɐ ɹoɟ ǝsuǝs ǝpɐɯ ƃuıɥʇǝɯos ɟı ǝɔıu os ǝq plnoʍ ʇı." i really wish i could partici-patte this week CRX, what with promising to and all But i just got pounded by favour call-ins from people whov helped me out in the past and im pulling red bull sweats to keep my head above water. SORRY! at least you're not yelling at me for posting here.... when I m supposed to be in class..